The restaurant and food service industry in Connecticut in expanding, with over 14,300 new jobs expected by 2026. Over $7.3 billion in revenue is expected this year from Connecticut’s restaurant and beverage establishments, and that amount is expected to continue to rise. The demand for skilled culinary professionals is on the rise and now is a great time to pursue a degree or certification in the culinary arts. Connecticut has several culinary schools that are poised to meet the demand for highly educated culinary professionals. We created a list of the top 10 best culinary schools in Connecticut. Schools that made our list offer hands-on programs, a wide variety of coursework, professional development opportunities, and professional level instruction. Several programs are also accredited by the American Culinary Federation, an indicator of academic rigor. The Community Culinary School offers a Culinary Training Program and job placement assistance to adults who want to begin an exciting career in the culinary arts. Students complete a 12-week training session where they learn culinary and life skills. Students demonstrate their culinary skills by preparing meals for the community through the New Milford Food Bank. The program is taught by professional chef and community volunteers who serve as leaders and mentors to students. All students have passed the ServSafe Food Protection Manager Certification test and over 95% of program graduates secure employment within three months. The Bristol Technical Education Center is a top culinary school featuring a Culinary Arts Certificate. Students receive training in a modern commercial kitchen in areas such as food preparation, inventory control, customer service, and food safety practices. Students in the Culinary Arts Certificate program demonstrate their culinary skills by working in the school’s lunch program, dining room restaurant, and community catering service. The Bistro, a student operated restaurant, is structured like a hotel restaurant or private club allowing students to learn their craft in a hospitality environment. Students who complete the program are prepared to begin a two or four-year degree program in culinary arts. Post-secondary students earn a 900-hour certificate than can be used toward a state apprenticeship program as either a chef or a baker. Students interested in both the hospitality management and culinary arts can take advantage of the blended program at Norwalk Community College. Students can earn their associates degree in restaurant/food service management or pursue a certificate in culinary arts. 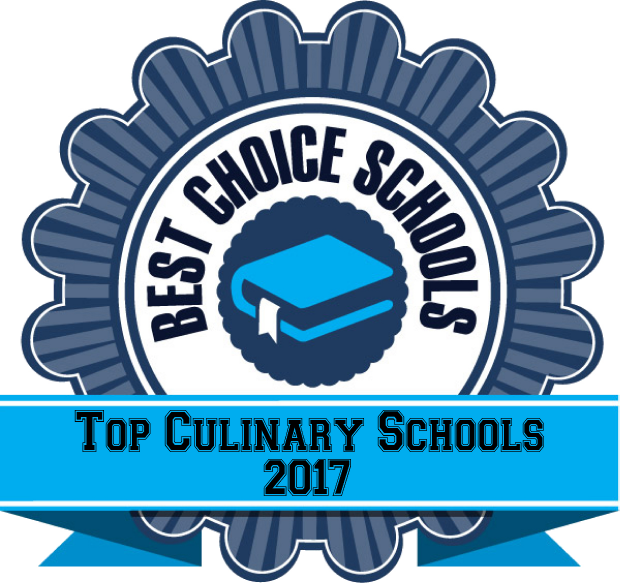 This top culinary school is in the New York metropolitan region which means students have access to a variety of high end establishments and world class international cuisine. The Culinary Arts Certificate Program gives students a solid framework of study in food preparation and foodservice. Most coursework can be applied to the Restaurant/Foodservice Management AS degree program that includes hands on experience and leadership training. Manchester Community College offers a top culinary arts program with both the AS Degree in Culinary Arts and the AS Degree in Food Service Management earning exemplary status from the American Culinary Federation. Students in the Culinary Arts AS degree program complete a 300 clock hour cooperative work experience before they graduate. Students gain valuable work experience and professional skills that are essential to successful employment in the field. Students in the Food Service Management Program also complete a cooperative work experience focused on gaining “front of the house” leadership experience. Graduates have gone on to pursue advanced training and education at prestigious institutions such as Cornell University and Johnson and Wales University. The Lincoln Culinary Institute offers exciting career training programs in either Culinary Arts or International Baking and Pastry. The Culinary Arts program features European-style kitchens and a curriculum that includes management, food preparation, and global cuisine. International Baking and Pastry students learn the art of cake design, bread making, and pastry creation in a state of the art commercial baking environment. Externship opportunities give students the chance to demonstrate their skills in a professional work setting. These culinary programs are ideal for anyone who wants to enter the field, from a recent high school graduate to someone changing careers.